Do I have to be home when you arrive? ~ No, you are welcome to be there but you do not need to be. Does my dog have to be kept in the house on the day you are coming? ~ We love dogs and enjoy interacting with those that are friendly and playful. If your dog is fearful or aggressive we ask that he/she be kept indoors during our visits. Do I have to supply or tie the bag in the bucket? ~ No, we will look after supplying and tying the bucket liner. We just ask that you don't overfill the bucket as we need to be able to tie up the bio-degradable bag inside. What is a residential bucket service? ~ We pick up the contents of the bucket curbside once per week on a designated day, we will look for your bucket on those rare occasions that you forget to put it out for us. What is a kennel bucket service? ~ Kennel buckets are a little larger and are guaranteed pick up, even if there is snowfall. The only time we don't pick up a Kennel bucket is if the roads are not safe to travel or we are closed on a holiday day. Can I mix kitty litter and dog poop together in the same bucket? ~ We bill on an equal monthly basis, the invoice is delivered to your email on the 23rd of each month and your payment is due by the 25th of the following month. Once payment is received by us your service is provided for the following month. Billing should be simple, predictable and easy to understand - that is why we use the equal-pay method. eg. bill arrives January 23, paid by you on or before February 25, now that you have paid we will go ahead and provide your services for March. Automatic payments are easier for me, can I be set up this way? ~ Yes, there are three ways this can be done. You can provide us with your credit card information and we can debit it monthly. Using our website you can pay by PayPal on a monthly subscription. If you bank with a Credit Union you can set up scheduled bill payments. If I prepay will I get a discount? ~ Yes, for 6 or 12 month subscriptions or for greater savings use the "Lump Sum" plans. If I forget to pay my bill, is there interest charges? ~ No we don't charge interest. Since residential services must be pre-paid your services will be interrupted if no payment is made. If you are a corporate account carrying a balance, there is no interest but rather a set fee added if no payment is made onto your account each month. How much notice do I have to give to suspend or cancel service? ~ One week's notice is all we require. If I have more than one dog what do you charge? ~ For Round-Up customers we charge an additional $1 per extra dog each week. For bucket customers as long as the bucket is not over-filled it does not matter how many dogs you have. I have a Chihuahua, do I need a weekly service? ~ For Round-Up service the answer is yes, it would still be a weekly service. For a bucket service we would recommend a bi-weekly curbside pick up, it's all you will need. I have a Round-Up service, but have a bucket here too. Will I be charged if I use the bucket? ~ No, the bucket is provided to you for your convenience. It comes in handy to deposit those dog-walk bags in (as long as they are bio-degradable or compostable) or if you need to scoop between our visits. You are not obligated to use it, and will not be charged extra if you do. Can I put newspaper or pee-pads in the bucket? ~ For dog buckets we accept newspaper, but not pee pads as they are usually not compostable or bio-degradable. If you will be using newspaper and/or biodegradable pee-pads we can provide you with one of our special plastic-like compostable bags in addition to your bucket, as we understand that this type of waste can take up a lot of space. Can I put kitty litter or other pet waste in the dog bucket? ~ No, sorry. Dog waste and other types of pet waste are not treated the same when it comes to processing. We do offer buckets for cats and take bags of shavings as well. If you have several different types of pets in your family we have combination plans to save you money. Can I put my doggy bag's into the bucket? ~ Yes, but only if you are using a flushable, bio-degradable or compostable doggy bag. No plastics as they are not environmentally friendly and damage the systems we use. This may change in the future if people continue to use the wrong bags we will have no choice but to refuse dog walk bags. I am a senior, will I get a discount? ~ Yes, we offer discounts to our Seniors, anyone with a service dog, and the disabled, as we believe in the power of the Human-Animal Bond! What areas do you provide service in? ~ We serve all areas of the Fraser Valley including Abbotsford, Mission, Agassiz, Harrison, Chilliwack,​​ Cultus Lake and all areas in between. What do you do with the waste you collect? ~ We dispose of the pet waste we collect by environmentally friendly means such as anaerobic digestion and the capturing of renewable natural gas, utilizing the sewage treatment plant and composting. We uphold the city bylaws, prevent the needless accumulation of millions and millions of plastic bags filled with pet waste that find their way to our land fills each year by our exclusive use of bio-degradable and compostable bucket liners and help to prevent the spread of disease and parasitic infections. Do you offer pet sitting, walking or grooming? ~ No, we are strictly a waste removal company. Do you add tariffs or surcharges, like fuel surcharges on top of your advertised prices? ~ Not unless you have a larger than usual back yard or are outside the scope of our service area. There are no surprises. We like to keep things simple and honest. We will let you know exactly what you will be paying upfront. Is there tax added onto your service charges? ~ Yes our services are GST applicable but not PST applicable. The GST charges are shown on your invoice​​​ along with our GST number. Will my Turd Wrangler scoop my yard on rainy days? ~ Yes, rain, hail or sunshine we scoop in all weather. The only time we can't scoop if if there is significant new snow coverage, during natural disasters or severe weather advisory when it would be dangerous for our Wranglers to be out in the elements. Will the Turd Wrangler feed treats to my dog? ~ No, we never feed anything to your pets without your permission. Will the Turd Wrangler alert me to potential problems with my pets? ~ Yes, if we observe strange behavior or indications of health problems evident in the stools we will leave you a note card. We will even let you know if we find that your gates were not secured or there were doors left opened when we visited. Will will call you in any emergency situation. ​​Do you work on holidays? 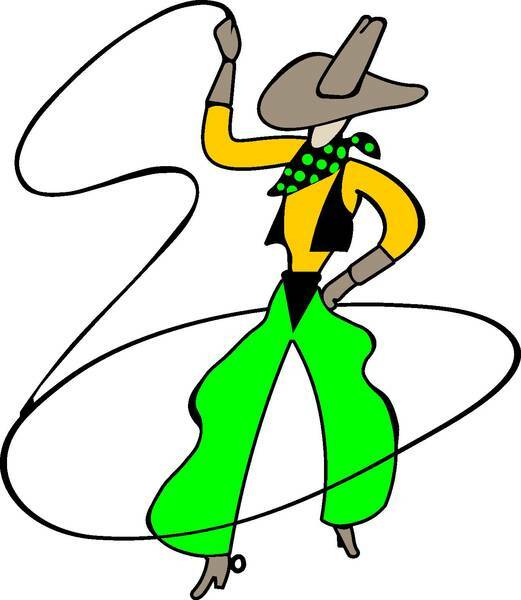 ~ Yes, our Wranglers work on all Statutory Holidays with the exception of Thanksgiving day, Christmas day, Boxing Day. If your regularly scheduled service day falls on this holiday we will be working twice as hard to pick up twice the "load" the following week so we do charge for these days. If your Wrangler will need New Year's day off they will contact you by e-mail to let you know which day (just before or after January 1st) your service will be done in place of New Year's day. After all, we don't want to miss two weeks in a row, and we're sure you wouldn't want that either! ​​Do you work in all weather? ~ Yes, our Wranglers will work rain or shine with the exception of dangerous weather conditions like poor roads due to snow and ice, or severe weather warnings that could affect the safety of our Wranglers. If the roads are not safe, or there is a fresh snow-fall covering the turds we cannot scoop. We will pick up buckets for customers subscribing to our bucket service (unless snow has fallen the majority of the week hiding all the turds so that you could not scoop the day before or most days.) If your regularly scheduled service day falls on these dangerous road days or snow days we will pick up on the next week's scheduled day or "catch up" on the next service date that the weather conditions subside. Do you still bill us for missed service days due to holidays, weather or other unforeseen circumstances? ~ Yes, our Wranglers will have to work doubly hard and take on much more volume of turds when services resume. Our Wranglers work their butts off in these circumstances to get the then much bigger and heavier job all cleaned up. This is why we bill for each week even when we are forced to miss one due to reasons beyond our control and the service days listed that we are closed for holidays. We do not credit for these missed days. ​Will the Turd Wrangler scoop my yard if I water the lawn? ~ We only ask that you refrain from watering the lawn the evening before and the day of our scheduled weekly service. If you have an automated sprinkler system please ensure it is not set to come on during these times. Thank you for your cooperation! ​​​​Do you offer service in Vancouver, Surrey, Richmond, Coquitlam, or Maple Ridge? What exactly do you do with all the poo? ​Turd Wranglers is a green company and we strive to do the best thing for the environment when it comes to the treatment and disposal of the materials we collect.​ The majority of the waste we collect is turned into renewable natural gas, and we are always looking for new and better innovations when it comes to what cannot be processed in this manner (such as certain forms of kitty litter), that is why even our bucket liners are biodegradable!